If you are in this area and would like to meet up on a regular with other xbs. We have started a growing face book page. Join up we are trying to meet up at least once a month. we still dont have a official meet time cause we are trying to figure out somewhere to eat before hand but you can send me a message on here and i can update you whenever i hear something. Alright peeps here is a meet/eat/hangout we are having on February 4th. We will met up and then leave from there to a little pub restaurant called wags. The town is having what's called Fire&Ice its something they have every first saturday of the month basically there's a lot of shops in th down town area that open up and do different things. There's ice sculptures and all kinds of stuff. This is a pet friendly event so bring your dog or whatever you have. Refrain from bringing aggressive pets though. Cause I'm pretty sure other people will have their dogs out too. Hopefully we can have a good turn out for this meet. Also the only places not pet friendly are the restaurants just for a heads up. Down with the meet, just pets aren't needed. haha. If I didn't have plans I would be all about this. Will you be doing the meet someplace different every month? Like next mo th in dc and the month after in va? I really have no idea. We try to get together once a month and if someone brings up something to do then we can meet up and do that. 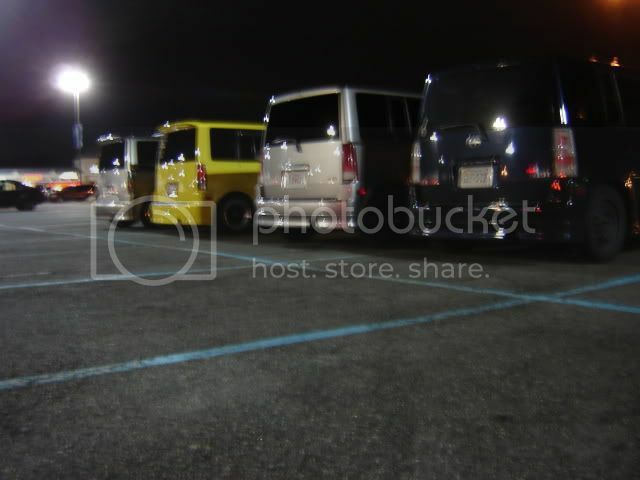 Our last meet was in waldorf, just a meet/greet/ and eat. For this month one of our guys in Frederick told us about this and we all agreed to go. So its pretty much whatever comes up. So if you have any suggestions post em and we can talk about as a group and make a decision. 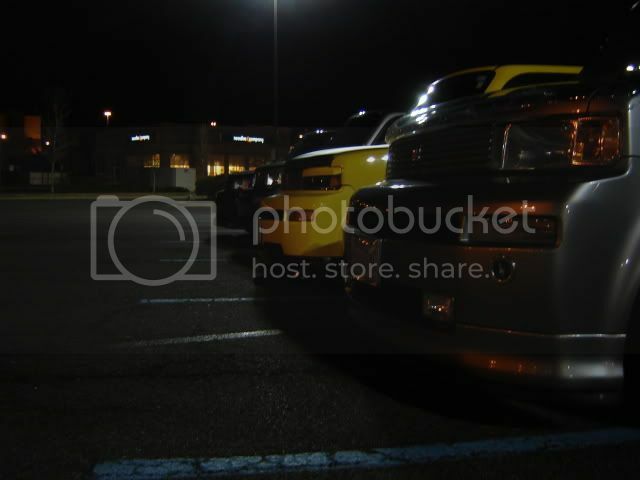 Check out the mid-Atlantic club xb facebook page and that's where some of the ideas are talked about, on scikotics also. Alright if you plan on coming can you shoot me a txt @ 4784519295. That way I can have your contact info and you can have mine if you get lost or can't find us. Hi everyone, new xB owner (2006 Gen1) from Herndon, VA. I posted a general intro of myself in the Introductions area titled "Wash DC Metro Noob". I'm not on Facebook (sole holdout in my family) but am interested in meeting up and learning from you guys. I'll keep an eye out for local meet up posts here on the forums and hope to get together soon. Lol I was about to say that we have a Facebook page.... Any ways most of our meets are planned thru there. I'll post the meets as they are made so you can make plans to go if you want. Most of the meets are closer to you. I'm probably the farthest south member of this group, I'm near Norfolk, so it's a little more difficult for me to make it up to these meets due to my family and the distance. anyways welcome! Speaking from the Box of Life. I hope to attend a meet but will have to manage my recent erratic work schedule. Oh I feel ya there. There is a meet this Saturday. But I'm assuming it's too last minute for ya. 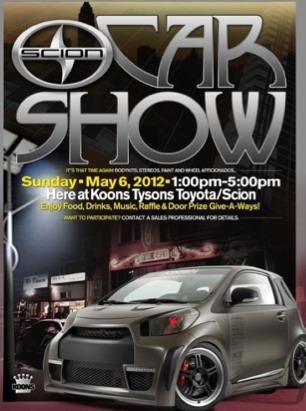 Also there is a scion car show may 6th at Koons Tyson Toyota and Scion in Tyson's Corner VA. not sure about that my self. I would have to beg the wife to go. Anyways your up today's as of now. That's supposed to say your up to date as of now. What meet is this saturday? I know I am lowering a TC this saturday at my place, also possibly rolling my front fenders...there are few people coming by...PM if your interested. Oh thought it was something else. Crap, I always work on Saturdays. 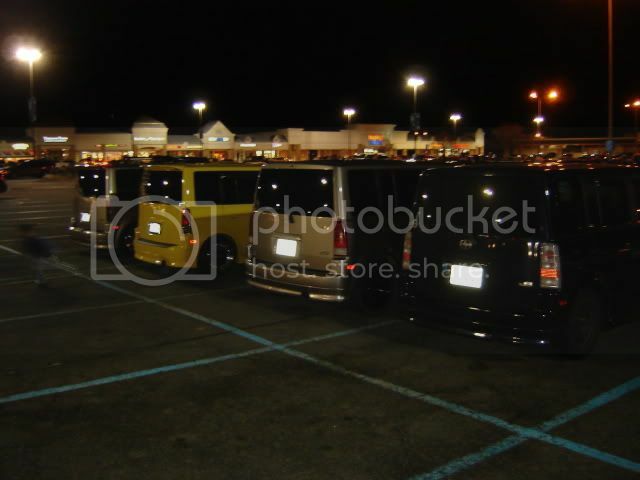 Big car meet every Thursday starting at 830pm at woodbridge lowes parking lot. 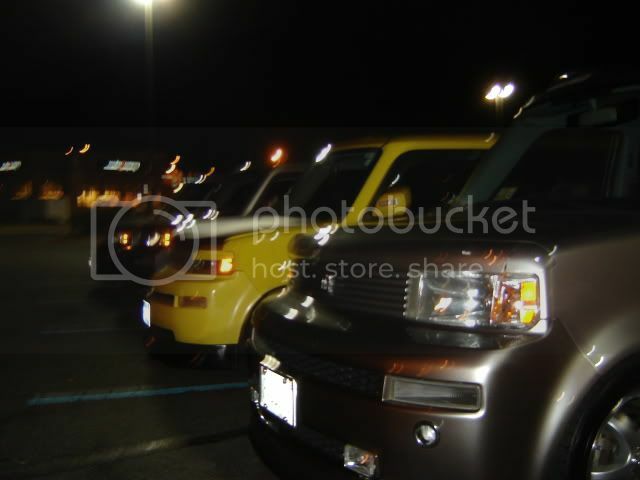 Posted a meet on the xb facebook page for next thursday 15th. 3 xbs going so far. 6 showed up 5 gen1 and 1 gen2 and a ton of other cars. Hey guys, Im gonna be moving back to the DC area soon. Probably nova so im definitely gonna try and get in on this.